This groundbreaking play set on Chicago’s South Side revolves around the divergent dreams and conflicts within three generations of the Younger family. When her deceased husband’s insurance money comes through, Mama Lena dreams of moving to a new home and a better neighborhood in Chicago. Walter Lee, her son, has other plans, however: buying a liquor store and being his own man. Beneatha, her daughter, dreams of medical school. The tensions and prejudice they face form the backbone of this seminal American drama about retaining one’s dignity within a harsh and changing world. 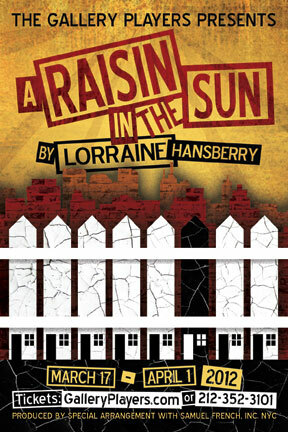 Pictured (l to r): Hope Harley and Kwaku Driskell in The Gallery Players’ production of A Raisin in the Sun. Photo by Bella Muccari. 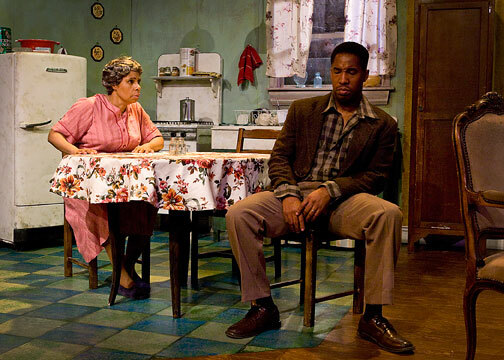 Pictured (l to r): Ross Johnson, Hope Harley and Kwaku Driskell in The Gallery Players’ production of A Raisin in the Sun. Photo by Bella Muccari. 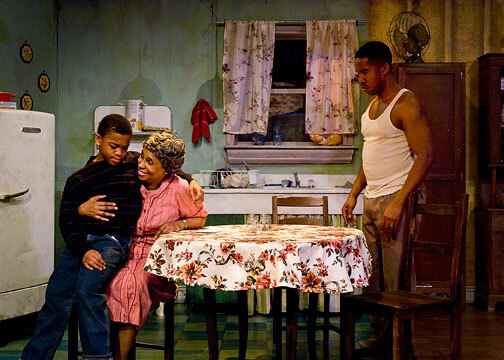 Pictured (l to r): Kwaku Driskell and Ross Johnson in The Gallery Players’ production of A Raisin in the Sun. Photo by Bella Muccari.